Andrei has been one of the few students accepted to attend the International Film Workshops program taught by director Bruno Pischiutta in Brasov. He has graduated from the workshops in 2014 and he is one of only two students of his class who received an exclusive contract with the Global Film Actors Agency. Andrei is a fan of sports and especially of bodybuilding, powerlifting and soccer which he practices frequently. While still in high school, he prepares for his acting debut in the upcoming feature film THE BAD JOKE written, directed and produced by Bruno Pischiutta. Andrei wants to become a Star and to build an important role for himself in the movie industry. 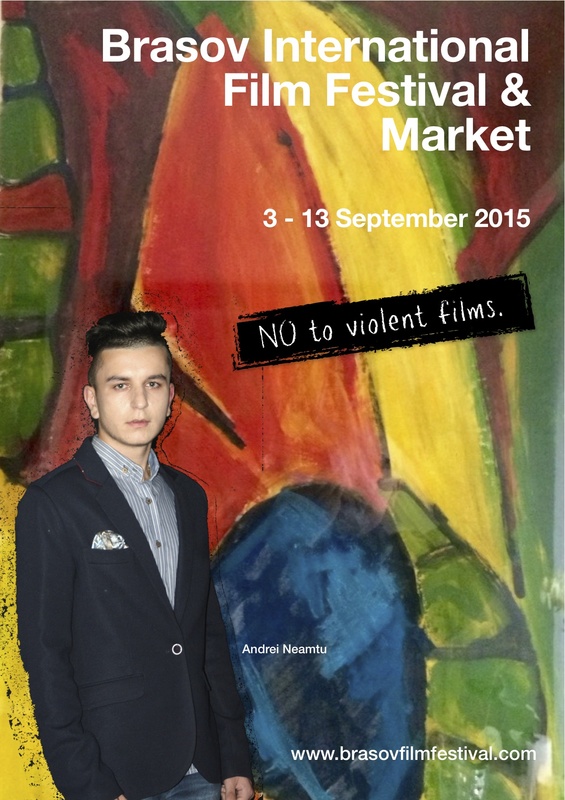 Andrei, the winner of the contest “The IMAGE of Brasov International Film Festival & Market 2015” is featured on the official poster of the Festival. Producer Daria Trifu interviews actor Andrei Neamtu who is the winner of the contest “The IMAGE of Brasov International Film Festival & Market 2015”. In 2015, Andrei has also attended the Brasov Film Festival where he received a Special Award as the “Image of the Festival”. Producer and Festival Director Daria Trifu interviews Andrei following the Awards Ceremony. Andrei is the winner of the MMBF “Rising Star” Award 2016. The award was handed out at the 5th edition of Brasov International Film Festival & Market. For the second consecutive year, in 2016, Brasov Int’l Film Festival has partnered with the MMBF (Matthew Martino Benevolent Fund).